(January 7, 2017) We are sad to inform SoulTrackers of the death of Sylvester Potts, a member of the legendary group The Contours for more than a half century. In the fall of 1960, a Detroit group called The Contours (consisting of Joe Billingslea, Billy Gordon, Billy Hoggs, Leroy Fair and Hubert Johnson) auditioned for Berry Gordy's Motown Records. Gordy turned the act down, prompting the group to pay a visit to the home of group member Hubert Johnson's cousin, R&B star and Gordy associate Jackie Wilson. Wilson in turn got The Contours a second audition with Gordy, at which they sang the same songs they had at the first audition, the same way, and were signed to a seven-year contract. Potts joined the group in 1961, a year before the act’s signature hit, "Do You Love Me," a composition originally meant for The Temptations, shot all the way to #1 on the charts. Although The Contours never quite repeated the extraordinary success of "Do You Love Me," they returned to the charts three times during 1963 and 1964 with "Shake Sherry," "Can You Do It" and "Can You Jerk Like Me." In 1964, Billy Hoggs, Joe Billingslea, Hubert Johnson, and Sylvester Potts all left Motown. Berry Gordy hired Council Gay, Jerry Green and Alvin English to back Billy Gordon, making the Contours a quartet. Within a year, Sylvester Potts returned to the group (replacing Alvin English), and Billy Gordon departed shortly thereafter. Gordon was replaced by Joe Stubbs, brother of Four Tops lead singer Levi Stubbs. Stubbs soon quit the act and was replaced by Dennis Edwards. 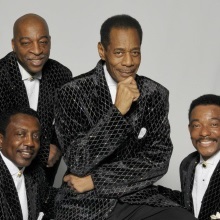 With all of the original members gone by the mid-1960s, The Contours recorded several records which received R&B radio play (notably "First I Look at the Purse" and "Just a Little Misunderstanding"), but were considered secondary to Motown's major male vocal groups, The Temptations, the Four Tops, and The Miracles. The group's seven-year contract with Motown expired in 1967 and when lead singer Dennis Edwards was recruited to replace the departed David Ruffin as lead singer of The Temptations in early 1968, The Contours disbanded. Although they charted up a hit in the UK Singles Chart in 1970 with a re-release of "Just A Little Misunderstanding," The Contours' real claim to fame lies with "Do You Love Me." Both these tracks and others Contours work can be found on various Motown compilation albums. In the early 1970s, Joe Billingslea resurrected the group with himself, Council Gay, Arthur Hinson, Martin Upshire and C. Autry Hatcher as its members, and began performing at local clubs around Detroit. During the seventies and early eighties, the group's popularity increased and they began playing dates throughout the US and even some international dates. In 1984, Charles Davis replaced Hinson and a week later Potts rejoined the group replacing Gay. In 1987, Hatcher left the group and Arthur Hinson returned. In 1988, Darell Nunlee was added when Martin Upshire left. The same year, "Do You Love Me" was prominently featured in the film Dirty Dancing. In 1988, a reissue of "Do You Love Me" sent the song back to the Billboard pop charts for eight weeks, peaking at number eleven. The movie and the record spawned a 1988 "Dirty Dancing Concert Tour" followed by a new recording contract for Ian Levine's Motorcity Records where the group recorded two albums Flashback and Revenge although the latter was not released although the songs came out on a later compilation. In 1992, Hinson and left the group, and it continued as a quartet until 1993 when Nunlee left. Al Chisholm (formerly with The Falcons) and Gary Grier were recruited in 1993. This configuration - Joe Billingslea, Chisholm, Davis, Grier and Potts - continued from 1993 until 2004. In 2004, Sylvester Potts left to form his own group with the four members (Leroy Seabrooks, Kim Green, Tony Womack and Darell Nunlee) of a local Detroit group named Upscale, which immediately began performing as 'The Contours'. Billingslea sued and Potts countersued, each claiming the rights to the name. These suits were resolved in an out-of-court settlement which provided for the existence of both groups to be identified as "Joe Billingslea and The Contours" and "The Contours featuring Sylvester Potts," respectively. Seabrooks has since left the Potts' group making it a quartet. In 2006, Joe Billingslea and The Contours filled the vacant bass singing spot created by Potts' departure with Odell Jones. Both groups are currently performing. Joe Billingslea and The Contours are among the acts featured in a DVD released by Motown in January 2007 called "Motown: The Early Years," featuring their appearances on the Public Broadcasting System specials. Sylvester Potts was an essential part of one of the most beloved – and fun – acts of the 1960s, and has established an important spot in soul music history. Rest in peace, Sylvester, knowing we indeed DO love you.